From remodeling your kitchen to replacing your garage door, home improvements can range greatly in price. 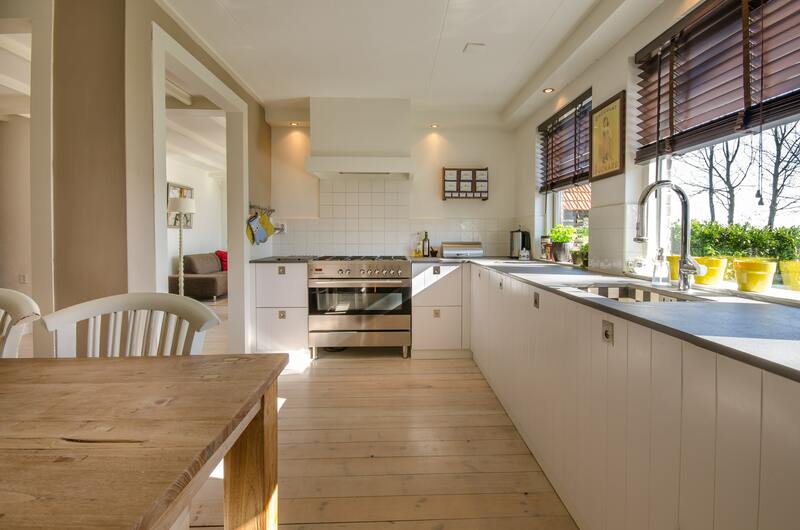 Before you pick a project though—and whether you plan to stay in your new home for many years or just a short while—it’s wise to know which home improvements will give you the most bang for your buck. To help you narrow down your to-do list, we’ve highlighted five projects that are sure to deliver a high return. It may not be the most exciting update, but replacing your old roof is a smart improvement to make if it’s over 20 years. Plus, tackle this home improvement before you have a leak and it’ll be a whole lot less stressful. A new roof will provide added assurance to the homeowner, whether it’s you or a future buyer, for many years to come. Remodeling Magazine estimates a new roof return 80% or more. You don’t have to completely revamp your kitchen’s floorplan and spring for the most glamorous of countertops to add value. Swap out old appliances for energy-efficient ones, update—or even repaint—the cabinets, and update the fixtures to give the kitchen a new look. Without spending a fortune, Bankrate says sellers can see an 80% return from a minor kitchen remodel. Replacing old windows with new, energy-efficient windows will not only save you a bundle on energy costs, it will be a major selling point down the line. Whether you replace all the windows or just a few, sellers can expect the average return to be just over 89%, according to HGTV. Installing a new garage door is a relatively small home improvement project that can bring a big return. It involves only a day’s worth of work and will instantly enhance your property’s curb appeal. Most sellers recoup about 98% of their investment, according to Bankrate. While siding replacement is a big undertaking, it can give your home a major facelift—and the value of your home a huge boost. According to Realtor.com, sellers recoup more than 75% of the cost upon selling. Purchasing an investment property in the Greater Boston area and need help deciding what home improvements to make? Our team at Branch Out Realty can help! Contact us today.